This "Avalanche Problem" is being put in here for the Purcell Range. 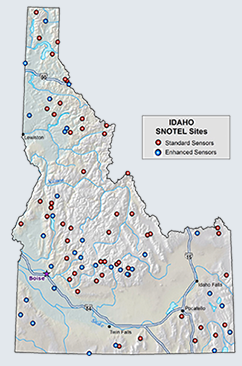 Multiple weak interfaces exist in the snowpack of the Northwest Peaks/Buckhorn/Purcell Range that are not being found in the West and East Cabinets. These layers are tricky in distribution and have the potential to produce some fairly large and destructive avalanches. I will be revisiting this area on Thursday to see how things are coming together. In the meantime I would be very conservative with terrain choices when riding in the Purcell Range; choose lower angle terrain and pay attention to good travel habits by crossing steep or exposed areas one at a time. The West and East Cabinets have been getting relentless shots of new snow over the last couple of weeks with the occassional bout of high winds near the ridge tops. There are small and isolated pockets of wind slab that are forming at the tops of gullie features and right below ridgelines. Though they are small and isolated in nature they are worth taking seriously before dropping onto a slope where a small slide may push you into trees or cliffs. Many are crying about winters relentless pounding this year! Embrace it and get out and enjoy the powder. Just be sure to check the weather forecast and avalanche conditions before heading out. There seems to be alot of winter weather activity heading our way in the next week. 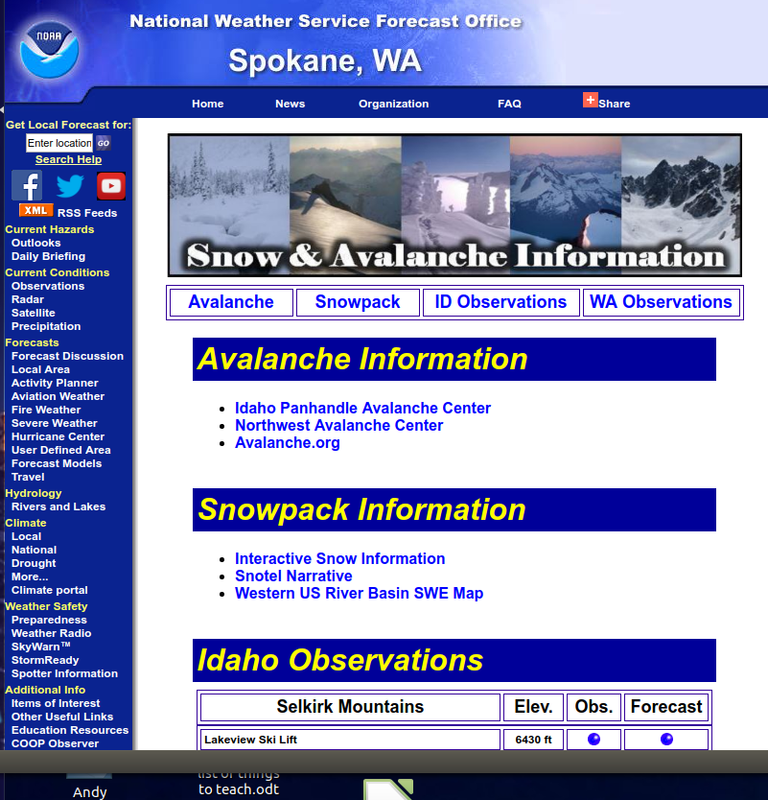 Lots of Snotel and mountain weather info can be found by browsing the weather tab on this page, it's a great resource so check it out! Check out the Panhandle forecast by clicking the link below! Last week we travelled into the Hawkins Lake area of the Northwest Peaks where we found highly reactive surface hoar in our stability tests that was buried approximately 1' below the surface. Below that we found the snow is poorly bonded to the February 16th rain crust and facets/depth hoar on the ground. All are fairly serious weak layers and may be slow to heal. I would expect a large avalanche cycle to occur in this area when winter finally lets go and gives into spring temperatures and high mountain rains. On Monday the 6th, we travelled into the Snowshoe Mine area of the Eastern Cabinets. We found deep snow and relatively stable conditions, the steady shots of new snow have not allowed any obvious weak layers to form in the upper snowpack. We did note some small density changes and wind slab development in gully features and near the ridgeline on the southwesterly aspects. The other notable observation would be some loose dry sloughing on very steep slopes, mostly benign but could be a problem on large steep faces and in steep chutes where a build-up of loose snow could knock you off your feet or sled. totals will then occur Wednesday, Thursday, and Friday.